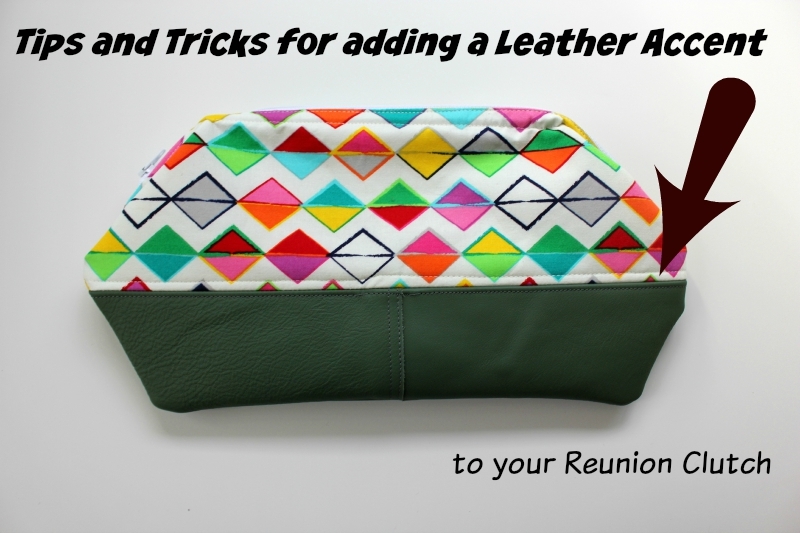 Did you know the Reunion Clutch offers the perfect opportunity to use leather and make it a feature?! Now, I am by no means an expert in working with leather! You could also use a Teflon foot, I don't own one, but I have heard they make working with leather easy too. 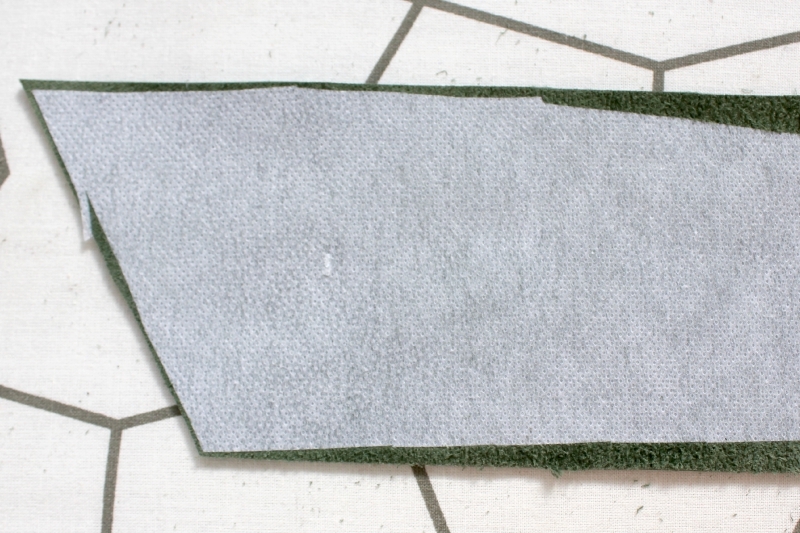 - 2 x Main A fabric pieces (already interfaced as per the pattern directions). 1. 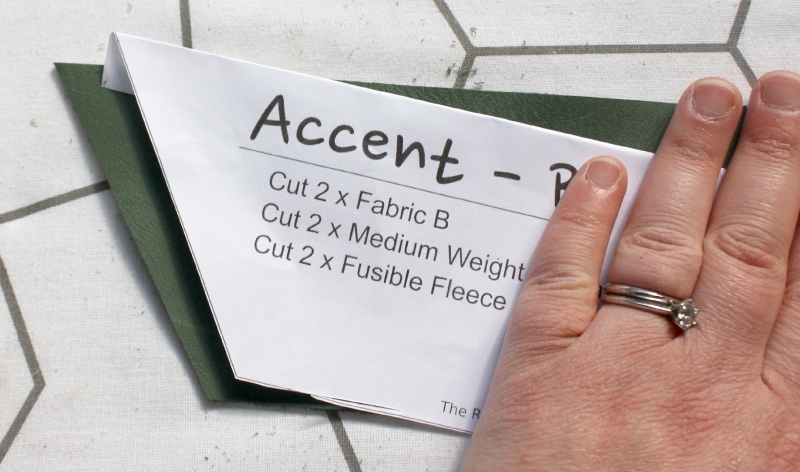 Fold Pattern Piece B on the dotted line, and cut your leather in this new shape (don't forget to cut it on the fold!). 2. 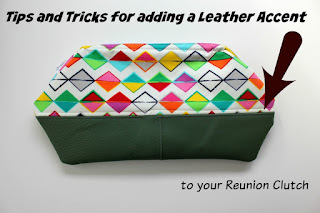 Apply the fusible medium weight interfacing to the WRONG side of the leather accent pieces. When applying the interfacing to the leather, ensure you apply it 1/8" from the top of the leather accent piece. 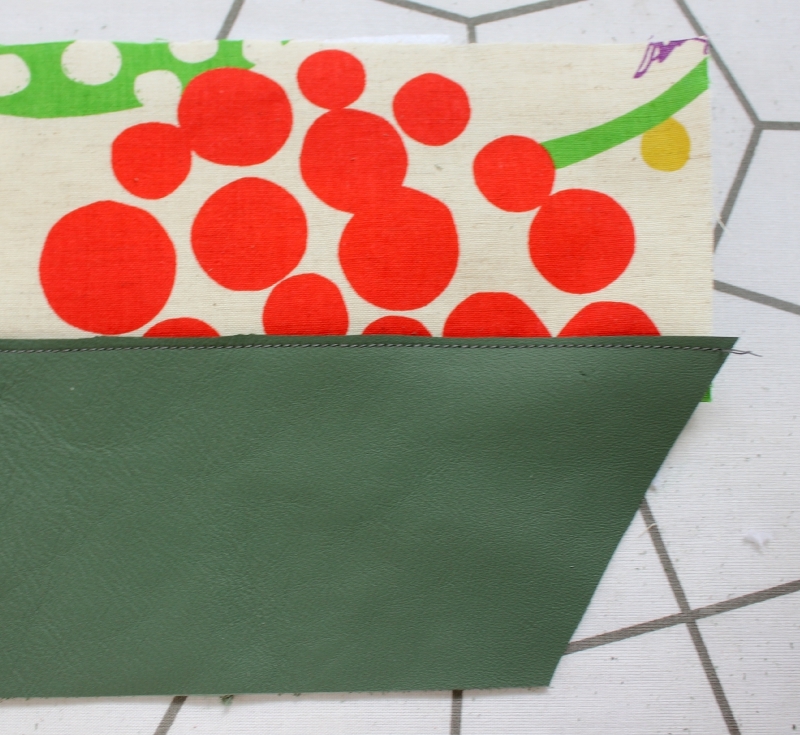 Now, I know a lot of you probably want to use Vinyl or Faux leather on your clutch too, and you can! As you are probably aware you shouldn't iron/press Vinyl or Faux leather - it will just melt... so, you could choose to add a sew in interfacing on these pieces. 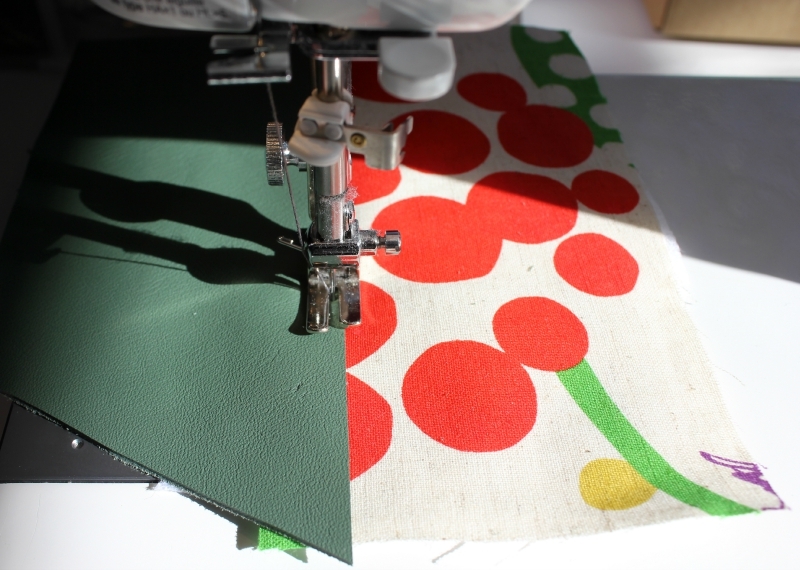 If you don't have any sew in on hand, you can make your own - its easy! 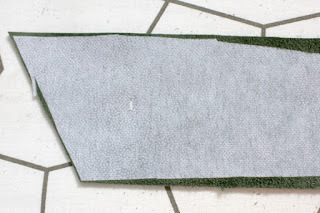 Gather a scrap piece of fabric (the size of Pattern Piece B) and apply your Fusible Medium Weight interfacing to that. 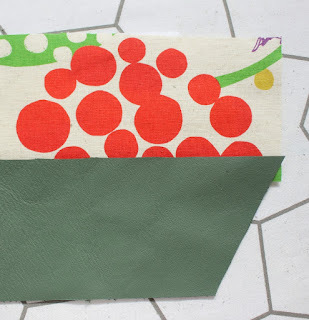 You can also choose to apply Fusible Fleece to the scrap, for added strength if you are using a light weight Vinyl or Faux leather. Then sew the scrap (with the required interfacing attached) to the Vinyl or Faux leather accent you would like to use when making your clutch. 3. Take Main A and place it right side up in front of you. Then lay your leather accent piece face up on top. 4. 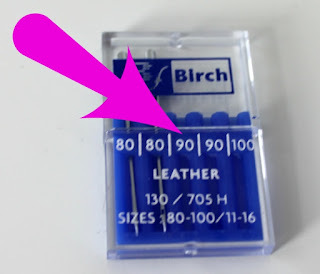 Sew the leather accent to Main A using a 1/8" seam (like you would to topstitch). 5. Repeat for the second Main A and leather accent pieces, then continue with the rest of the pattern as instructed.